Giants, Hunter Pence agree to deal; Ellsbury next? Hunter Pence and the San Francisco Giants agreed to a 5-year, $90 million deal, Boston.com reports. So is this good news for Jacoby Ellsbury's contract situation. Ellsbury has a .788 OPS and 5.7 Wins Above Replacement (WAR), so he could be worth $20-21 million according to Boston.com. The Red Sox, it seems, can't lose. They either lock up Ellsbury or let him walk and make Jackie Bradley, Jr. their #1 center fielder. So, which option is more likely? My gut tells me they won't go 9 figures on Ellsbury and make JBJ their center fielder next year. I don't like it much, either, but they already paid Dustin Pedroia earlier this year, and something tells me the organization won't want another 9 figure salary on their books. The silver lining is that I do think Bradley will be ready to step in at the beginning of next year. 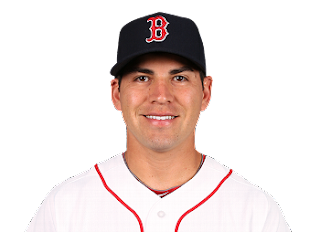 For the Fenway Faithful, the message is this: Enjoy Ellsbury in a Red Sox uniform during the playoffs and be prepared for the worst, because he probably won't be back in a Red Sox uniform come spring training 2014. So, where will he end? At this point, your guess is as good as mine, but some likely candidates are both Los Angeles teams, Texas, and the New York Yankees (I'll kill myself if this happens). I doubt any of these teams will hesitate to flash the cash if and when Ellsbury becomes available as a free agent. And make no mistake about it - Scott Boras will NOT hesitate to follow the dollar signs. Again, I hope he proves me wrong, but my guess is the Red Sox will not go 9 figures again. Ellsbury deserves to get paid, and I wish the Sox would pay him, but it's not likely after they paid Pedroia. I don't think the money will affect Ellsbury's playing because he plays the game the right way, same as Pedroia, but his agent is a different matter all together. Maybe if they win a championship, it will convince him, but I can't see the future. Again, I hope I'm wrong, but it doesn't seem likely. Do you think Ellsbury will be back in Beantown next year? Tweet me or leave a comment.